A summer thunderstorm knocked off the petals of most of the lovely peony blooms last night. Thankfully, a few tightly closed buds hold promise of beauty yet to unfurl in this summer’s peony finale. 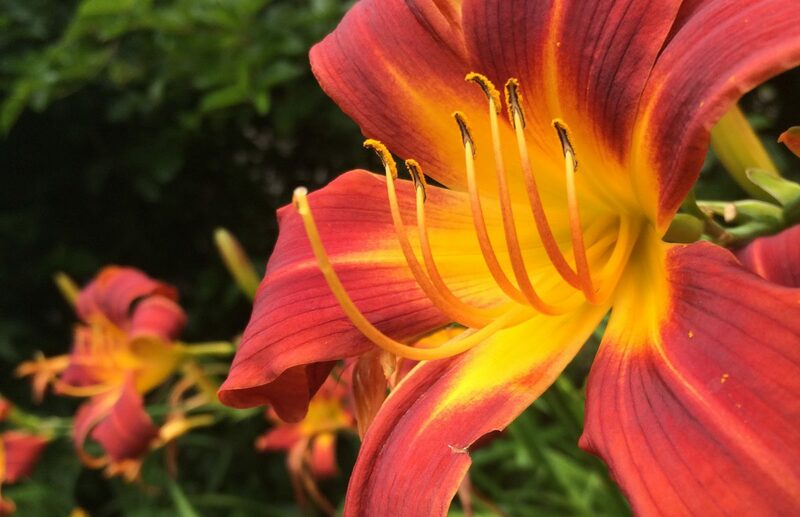 As the peonies fade in their glory and prepare for curtain call and their final bow, the daylilies in their own splendidly colorful petaled costumes stand in the wings ready to take center stage and continue the summer’s floral show.